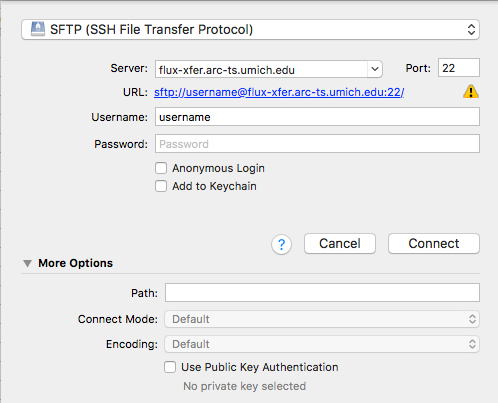 1The first step in using Flux is establishing a user account. Go to Flux Overview TO SEARCH THIS USER GUIDE, USE THE COMMAND + F (MAC) OR CTRL + F (WIN) KEYBOARD SHORTCUTS. Several levels of data storage are provided for Flux, varying by capacity, I/O rate, and longevity of storage. Nothing is backed up, except AFS. 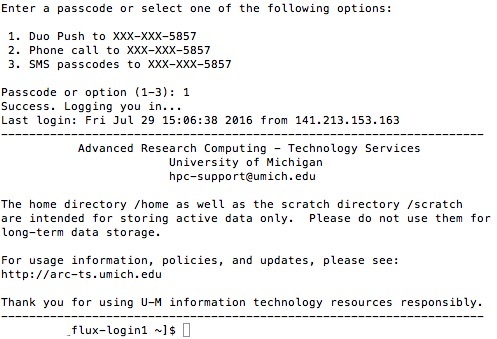 Please contact hpc-support@umich.edu with any questions. to see which compilers and versions are supported.One other variable that is often set by the library module is the LD_LIBRARY_PATH variable, which is used when you run the program to tell it where to find the libraries needed at run time. If you compile and link against an external library, you will almost always need to load the library module when you want to run the program so that this variable gets set.To see the variable names that a module provides you can use the show option to the module command to show what is being set by the module. Here is an edited example of what that would print if you were to run it for FFTW3.